I like to say that, “The Real Secret Disclosed” it is funny to me, it has a certain air of mystique around the phrase, and at the same time the phrase is so overused it is like a ‘Going Out of Business Sale’ sign on a business that never actual closes. 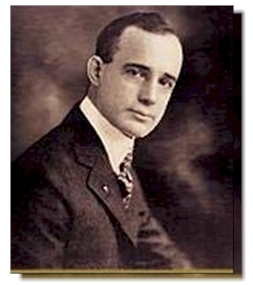 2,000 years passes after the Church introduces “As above, So below” and a man named Napoleon Hill attempts to create, “The Science of Success” a massive body of research where-in he studies the world’s most successful leaders, scientists, and industrial captains. He searches for what they all have in common and he discovers they all understand this principle. His contemporary, Manly P. Hall publishes a massive work where he explains the Laws of Attraction in detail, but publishes only 1,000 copies, made available to only a handful of the greatest leaders in the world. A few others dive on board devouring this easy to understand shorthand, “Like Attracts Like” goes from being Hill’s principle of attraction to being renamed, “The Law of Attraction.” Hill tries to explain, “That isn’t Science! 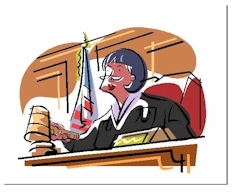 In science a law must meet certain criteria, it’s a principle, a shorthand, not a law!” But it’s too late. The world has taken hold of the secret and determined to run with it. 80 more years pass, and a movie is made named, “The Secret” (a very good watch if you haven’t seen it) claiming to disclose this ancient and forbidden secret. Forbidden Secret? What? The Churches, the leaders, the rulers, the masons, the Buddhists, and a million others have been trying to share this secret for 5,000 years! But hey, like I said, saying, “The Secret Disclosed” has a nice, yet overused ring to it! Pow! Oprah Wimphreh gets on board and the word spreads liek wildfire. Being one of the single most recognizable public figures on the planet, the shorthand becomes a law. If Oprah says, “the Law of Attraction is: Like Attracts Like” then it must be true. Heck, who am I to disagree with Oprah? So, it’s a law, the force of the Collective Consciousness agrees, so I am going to swim with that current. Even if the Collective Consciousness also agrees that, “Opposites Attract” and that, “Likes Repel”. It doesn’t matter, wait a second, maybe it does. If everyone agrees that: “Opposites attract and likes repel”, and that, “Like Attracts Like”, maybe we have a small problem. Maybe we need more information because it seems like the collective has accepted two opposing views simultaneously. “Likes Attract” and “Likes repel” and Opposites Attract” it just doesn’t add up! Whoa! I just felt about half my readers brains shut down there for a second. Come back, I’m only kidding around! If Oprah says, “Like attracts Like” and Einstein Says, “Likes Repel” and we all know that “Opposites Attract” who am I to disagree with all these people? Who are you to disagree? Heck, things don’t need to make sense to get me to agree, things don’t even have to be correct and I might still agree as long as it doesn’t interfere with my supper. But this is Full Spirit, not just me, and we are here together to create the life of your dreams, almost correct just isn’t going to cut it. If our tools are bent, we’re going to have bent results, and we simply can’t stand for that! So let’s look at how we can agree with what we know is right. Like I said in the first chapter of this section, at Full Spirit, we need things to be based in good solid, provable, reliable, and accurate science. “Like Attracts Like” isn’t science. Science shows without a doubt, conclusively, that there is no such thing as attraction. Wait! What!?! There is no such thing as attraction! That makes even less sense. Fortunately, it’s true. Attraction isn’t a scientific concept, it is a popular term used to understand a the scientific concept of influence. So, “Like Attracts Like” is not meant to be scientific, it is meant to be a shorthand, a para-phrase. So Oprah is right, “Like attracts Like” and Einstien is right, “Likes Repel.” Get ready we’re about to start moving really fast! 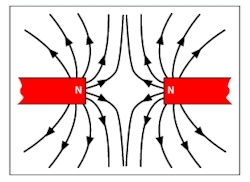 In the two images above you are seeing the magnetic lines of force surrounding two magnets. This is a really amazing because these lines of force are always there, in these images they are made visible because of the iron filings poured near the magnets. But these lines of force are always there. 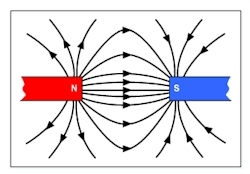 You see, if the magnets attracted the filing, there would be no lines of force, the filings would simply come to the magnet, instead, the filings are influenced by the presence of the magnet. Now here is where it starts to get interesting. These lines of force have a direction to them, they have a flow. Even though the magnet is sitting still, its energy field is in a constant state of flow. Now, it is because of this flow that we are able to say, “Opposites Attract, and Likes Repel.” In the image to left we see what happens when two like energy fields are forced to come together, they oppose and repel one another. This is a matter of simple physics, nothing fancy here. 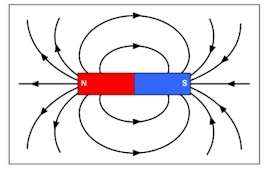 The magnetic forces are alike, and they repel one another. Now as seen to the right, if the magnetic poles are aligned so that the opposites are near one another, they attract, or more accurately, they will tend to influence one another to come together. In other words, They have aligned and now they are seeking to congeal, or come together. As you know, every living thing is surrounded by an electromagnetic energy field, and these electromagnetic energy fields all follow the same laws of physics. It doesn’t matter if it is something simple like a magnet, or something complex like a person or planet, the same laws of physics apply and govern its behavior. This why compasses work, because the earth is surrounded by a massive magnetic field and that magnetic field is constantly aligning everything within it. 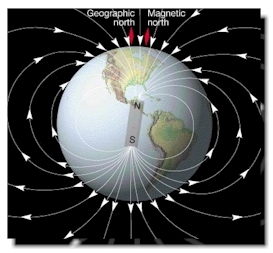 Every compass on the planet aligns to the Earth’s magnetic flow! Moreover, every person does too! We’re going to dive into how this works for people in just a second, but before we do, I want to cement this idea of Alignment of the forces into you mind, so check this out!